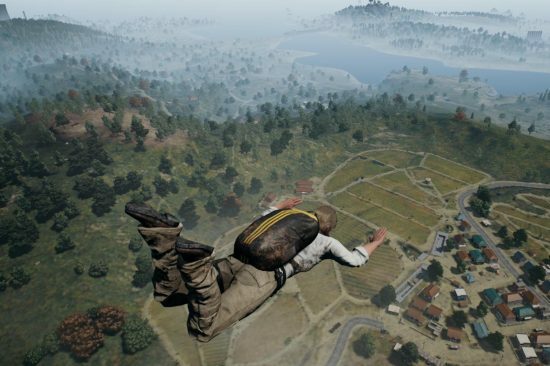 Last year, everyone went crazy for a game called Player Unknown’s Battlegrounds. A phenomena created by an unassuming Irish game modder by the name of Brendan Greene. Before Battlegrounds, Greene was mostly known for his mod work in games like ArmA, making similar large multiplayer modes inspired by the Japanese movie Battle Royale. Greene’s work eventually culminated in the original game release we now call PUBG, because the full name is too much of a mouthful. The premise was simple, 100 people drop on an island from a plane and the last person standing is the “winner winner, chicken dinner”. The game’s janky physics and major animated GIF potential made the thing explode in popularty. It was when Youtubers and journalists I follow started to get really excited about the game that it grabbed my attention. It seemed like a cool premise, one that they romanticised to an almost unfair degree. When playing alone, they made the game feel tense. One death meant getting kicked back to the menu and the genuine sweat and tension people got when playing came across from watching them. Alternatively, playing with friends was a series of goofs and betrayals that made the game seem like a good time in an entirely different way. Sticking with the single player aspect of the game for now though, the downside to this was that, unless you were good, it ultimately resulted in sessions of hiding for 10-20 minutes, then dying with no kills. It was what put me off playing the game myself. I’m bad at shooters with mouse and keyboard at the best of times, and the degree of complexity that comes with the simulation aspect of this particular shooter put me off even more. It was when the game was announced for console that I decided I’d wait for that, and I thought I’d be on a more even playing field with a controller. In the meantime though, Epic decided to sneak in and beat PUBG to the punch. 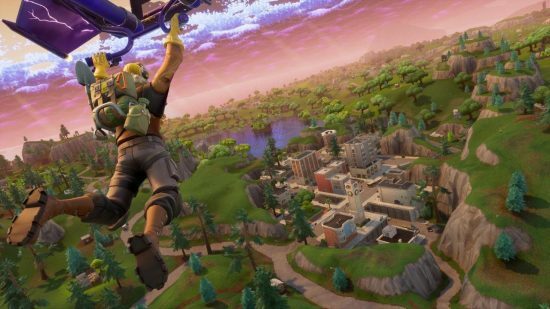 Creating a new, free to play, mode within their middlingly reviewed game Fortnite. The premise was essentially the same, only matches were faster paced due to the smaller map side and less technical item management and shooting. This is where I threw my hat into the Battle Royale ring. And to be honest, my overall experience was a pretty underwhelming one. Fortnite is a game with limited scope, I don’t mean that as an insult. You essentially do the same thing over and over, the novelty comes from the other humans in the world with you. You don’t know how they’re going to react and what plans they’ll have up their sleeves. I already have a game I play regularly that serves that some purpose in Overwatch. After playing a few games, placing low the first few and managing 3rd on my last game when I managed to find a orange Sniper Rifle right off the bat. I first encountered Fortnite’s unique selling point, the building. Building is essential for high level Fortnite play, and it was a mechanic I wanted nothing to do with. I was making the mistake of playing Fortnite to scratch a PUBG itch. I wanted to replicate what I’d seen people doing online in that game here. unfortunately this was not the same game. And so someone build a tower at the speed of sound and sniped me from the top of it. Another realisation I made about this style of game was that I quickly found it boring. The tension of potentially running into another player at any time quickly turned to boredom as I was searching everywhere constantly and finding people very infrequently. It then turned to frustration when several games ended with me being sniped by someone I never knew was there or stepping on a trap that, at this point, I didn’t even know was a thing in the game. 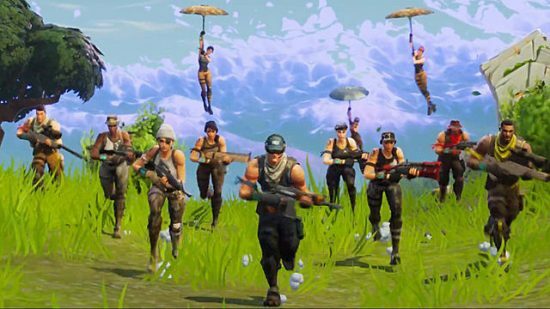 This brief flirtation with Fortnite soured my anticipation for the console release of PUBG. Which is already known for being the slower paced game of the two. So if I was finding this boring/frustrating, how the hell would I deal with the more methodical game? Ultimately/mercifully, the option was taken out of my hands. 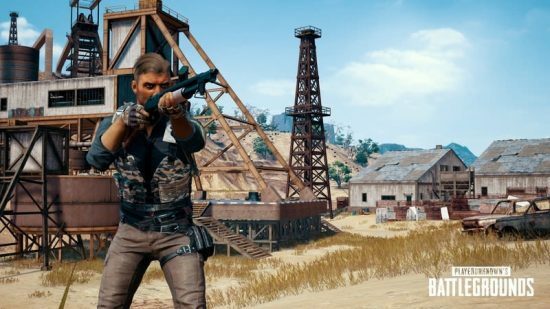 When PUBG did hit consoles, word of mouth was very negative. The ambitious nature of the game made it very difficult to run on console hardware, especially when a decent number of the 100 present players were on screen at the same time. And then the hype for PUBG died down. Taken over by the overwhelming success of Fortnite. Which has consequently gone on to become the biggest game in the world as of the time I’m writing this. It makes sense though, it’s a free to play game and it’s easy to pick up and understand. It’s also the one I’ve played and ended up getting bored with. So I find myself in a type of limbo when it comes to playing Battle Royale games. I want to find myself getting into them like the rest of the world but as it turns out, they’re simply not for me. But who knows, as more developers jump on the bandwagon, I’ll find a Battle Royale game that’s right for me. But until Respawn puts out a 100 titan mode for Titanfall, then I’m probably going to happily watch from a distance. Posted on March 23, 2018 by WooderonPosted in Features and/or Ranting:, Video GamesTagged battle royal, brendan greene, epic, fortnite, free to play, player unknown, player unknown’s battlegrounds, pubg. Previous Previous post: How I fell out of love with Super Smash Bros.